At a time when traditional lightweight block-making aggregates are rapidly diminishing in supply, Plasmor has secured the long-term future of block-making at all of its manufacturing sites across the UK. Significant strategic investment in the “Plasmor – unique” expanded clay production process has afforded Plasmor virtual self–sufficiency and this is reflected in the premium quality building block products delivered to Plasmor customers. For three decades during the 1960’s, 70’s and 80’s the plentiful staple raw material for quality lightweight block manufacture was Coal Fired Power Station Furnace Bottom Ash. During this period many coal fired power stations were contributing base load electricity supply to the National Electricity Grid and were being supplied by a myriad of UK collieries. Furnace bottom ash is the residue of burning coal and provides a strong, light, totally inert block making aggregate. During the last 3 decades the UK Energy market witnessed significant and dramatic changes. Due to political, economic and environmental pressures a high proportion of UK collieries and coal fired power stations were irreversibly closed down. The closure programme has accelerated acutely during 2015 and 2016. This has presented a serious dilemma to the lightweight aggregate block industry; how to secure future long-term supplies of quality lightweight aggregate. The choices facing the industry were numerous; consider expensive and unreliable imported aggregate, move to heavier quarried virgin aggregates, source sub-standard secondary aggregates or simply rely on the residual supply of power station furnace bottom ash. Considering the “Dash for Gas”, the conversion of some coal fired power stations to oil burning and latterly biomass (wood), together with the increasing pressures of the Environmental Movements, these were not options of merit for Plasmor. In 1990, in anticipation of this scenario the Plasmor Board of Directors committed the Company to an extensive and exhaustive research and development project with the expressed intention of developing a totally new, reliable, long term supply of premium quality sustainable block making material. Over a number of years the Company trialed a great many raw materials and processes including reclaimed and recycled materials, all to little avail. The future was undoubtedly found in Expanded Clay. 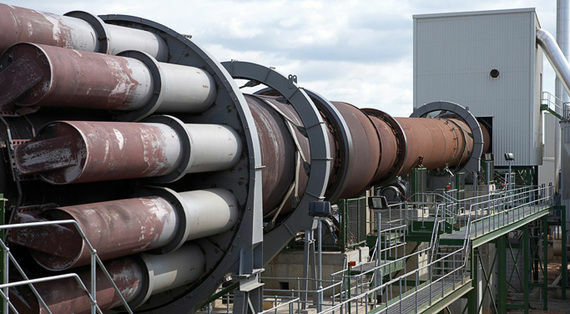 After years of geological and chemical research, laboratory testing and incremental pilot testing the Company decided to pursue expanded clay and pioneered the expanded clay process in the UK. The first Plasmor expanded clay kiln was commissioned in 2000 and represented the biggest single investment in the Company’s history. Such has been the success of the first expanded clay kiln and the unprecedented demand for Plasmor Fibolite and Aglite Ultima blocks that in Spring 2007 Plasmor successfully commissioned a second kiln to satisfy demand. These two plants are Europe’s most technically advanced, fuel efficient and environmentally clean. 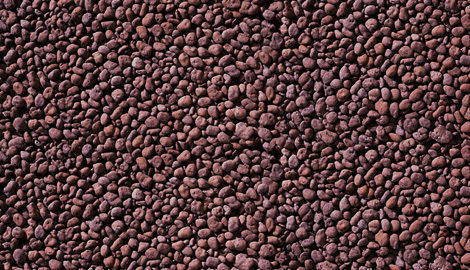 Expanded clay nodules are produced by sophisticated pyrogenic technology whereby geochemically specific clay is expanded in a rotary kiln at a specifically controlled temperature and rate of flow. Each individual clay nodule is composed of hundreds of minute air cells, contained within a hard and strong vitrified outer shell. The expanded clay is incredibly light, is strong, totally inert and when used in block production transfers the same benefits giving excellent thermal, acoustic, strength and fire resistance characteristics. Plasmor view the use of expanded clay as the key to the sustainable and ecological future of concrete block manufacture as it absolves the need for expensive and unreliable imports and lowers the use of virgin, hard, quarried aggregates such as limestone, granite, sand and gravel. We expand the clay to 5 times its original volume. 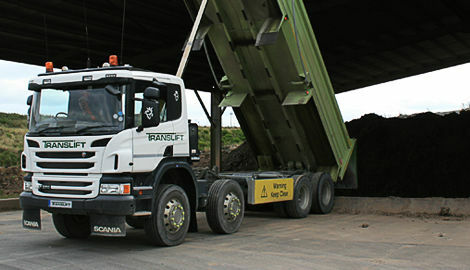 This represents a significant environmental advantage over alternative virgin quarried aggregates. 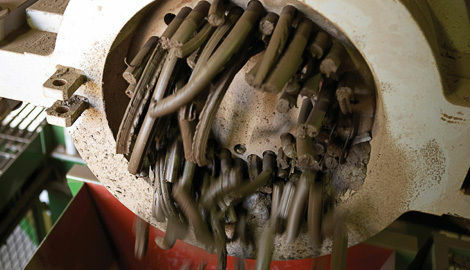 This is because for one tonne of clay quarried, once expanded in Plasmor’s unique expanded clay plant, the volume multiplies to five times. With all the other quarried aggregates, one tonne quarried equals one tonne used thus 80% less material is quarried. The unique characteristics of Plasmor expanded clay afford Plasmor enviable flexibility when mixing with a variety of recycled aggregates, to achieve all of the necessary block density ranges required for all applications in all sectors of construction. 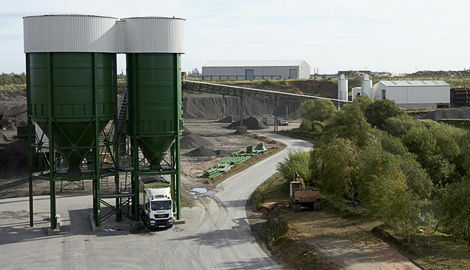 Concurrent with the expansion of expanded clay production, the Company have acquired secure, long term, consented reserves of the very specific clay required to process, assuring the market of secure, sustainable supply of Building Blocks.